Western are specialists in OnSite and OffSite construction. We provide innovative build processes to deliver buildings of exceptional quality and functionality. Western offers a variety of build options and unique solutions to meet every client requirement. All of our building processes provide their own advantages. Before advising our customers of the best method for their individual project we will give thought to the impact on the environment, the speed of construction and the controlled costing of the project. Whether it is a health care unit or a school, an office building or a housing project, this thought process will be applied across all of our sectors. Our ability to adapt and ultise modern construction techniques reduces build time, impact on the environment and impact on the construction site. Our experts can provide you with a range of solutions, finishes and furnishing for your build. We are passionate about design and believe that truly great buildings are not just built well but also designed well. It is for this reason that we have established a skilled design team to deliver project management across the specification, planning, design, programming, resourcing and procurement. It is this attention to detail that has gained Western a reputation of excellence in delivering projects on time, in budget and excel at functionality. Western has been delivering traditional build projects for over 30 years. Our expertise, project management and building approach deliver buildings of the highest standards. Our customers often comment on the desire of our people to go the extra mile to ensure every aspect of the project is completed within time, on budget and exceeds their expectations. Our clients benefit from excellent project management, build expertise and quality build materials. This specialist process consists of multiple modules or sections which are manufactured at our facility and then delivered to their intended site of use. 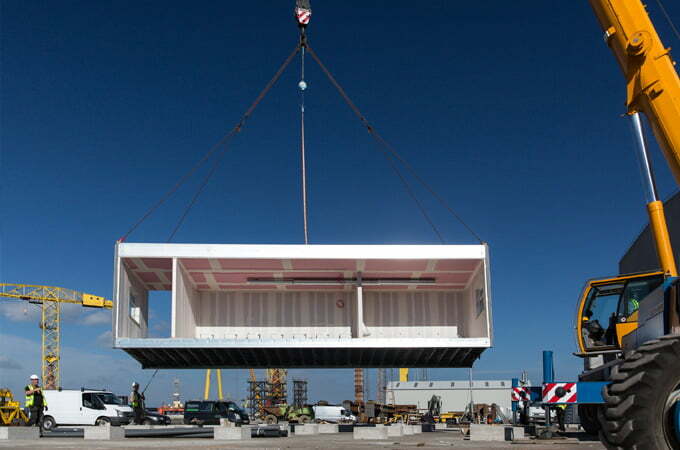 Modular construction units comprise of pre-finished timber framed or steel framed module systems, which – when linked together – create finished buildings. These fabricated systems include mechanical and electrical services as well as internal and external finishes, all manufactured in our quality controlled environment. Panelised construction units comprise timber or insulated floor, wall and roof panels. These panels are factory produced and delivered to site for erection to form a structural frame for a building or be incorporated into a pre-erected steel frame structure. This method of construction shares the same benefits of Modular construction in that it is built in a quality controlled environment and undergoes rigorous checks and testing throughout the production process. Like Modular manufacturing, Panelised production reduces the risks associated with more traditional construction. Each of the build options’ provide their own advantages, but the common advantages of all are the impact on the environment, speed of construction and the controlled costings of the project. Our programmes for all builds are fully developed and logic linked, identifying the critical path activities from start onsite of the construction process until substantial completion of the project with key milestone dates. Western attributes its success to a commitment to innovation, quality and client satisfaction and a focus on delivering every project on time and within budget.